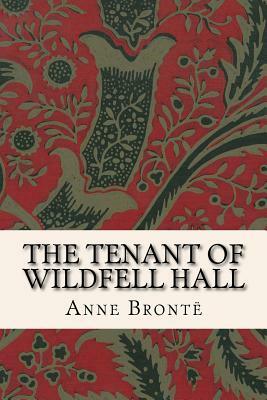 The Tenant of Wildfell Hall is the second and final novel by the English author Anne Bront . It was first published in 1848 under the pseudonym Acton Bell. Probably the most shocking of the Bront s' novels, it had an instant and phenomenal success, but after Anne's death her sister Charlotte prevented its re-publication. The novel is framed as a series of letters from Gilbert Markham to his friend and brother-in-law about the events leading to his meeting his wife. A mysterious young widow arrives at Wildfell Hall, an Elizabethan mansion which has been empty for many years, with her young son and servant. She lives there in strict seclusion under the assumed name Helen Graham and very soon finds herself the victim of local slander. Refusing to believe anything scandalous about her, Gilbert Markham, a young farmer, discovers her dark secrets. In her diary, Helen writes about her husband's physical and moral decline through alcohol, and the world of debauchery and cruelty from which she has fled. This novel of marital betrayal is set within a moral framework tempered by Anne's optimistic belief in universal salvation.The Tenant of Wildfell Hall is mainly considered to be one of the first sustained feminist novels. May Sinclair, in 1913, said that the slamming of Helen's bedroom door against her husband reverberated throughout Victorian England. In escaping her husband, Helen violates not only social conventions, but also English law. Anne Bronte 1820 - 1849) was an English novelist and poet, the youngest member of the Bronte literary family. She lived most of her life with her family at the parish of Haworth on the Yorkshire moors. She also attended a boarding school in Mirfield between 1836 and 1837. At 19 she left Haworth and worked as a governess between 1839 and 1845. After leaving her teaching position, she fulfilled her literary ambitions. She published a volume of poetry with her sisters (Poems by Currer, Ellis, and Acton Bell, 1846) and two novels. Agnes Grey, based upon her experiences as a governess, was published in 1847. Her second and last novel, The Tenant of Wildfell Hall, which is considered to be one of the first sustained feminist novels, appeared in 1848. Like her poems, both her novels were first published under the masculine penname of Acton Bell. Anne's life was sadly cut short when she died of pulmonary tuberculosis at the age of 29.